My editor from the Working Waterfront called today to say she had room for a photo to go with my recently written column, to be published on May 1. 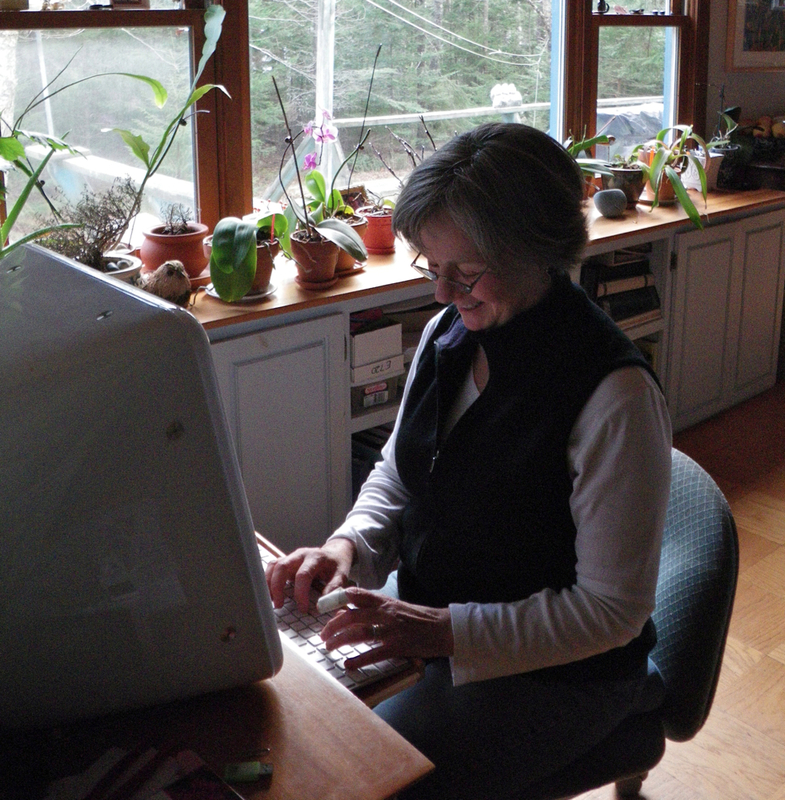 Since the article is about social networking, on the island and on the water, she asked my husband to take a picture of me working (checking FaceBook?) at the computer. The smile on my face is because I wasn’t really writing as I posed. I was playing Text Twist! Did you hurt your finger drilling rocks? Ha ha, no. I cut it with a knife that slipped off that crusty bread! But then I was drilling rocks and sometimes I use that finger to hold the glue or rock in place and the cut kept getting wet. Since this was a fake pose, I still had the bandaid on. We are the Titans of Text Twist!! He he he! I’d never heard of Text Twist but see an addiction coming on! Yup, Nancy. It is really addicting! I ended up buying it for my computer because our internet service was too slow to play it on line.